Stay Safe With Expert Tree Removal! Trees make for a beautiful and energising addition to any property – breathing life and character into your surroundings. But, trees can need removing in some situations. …Then it’s time to call in our expert services for a FREE quote! Removal work can be dangerous, so when you engage a contractor you need to feel confident that it will be done correctly with the utmost care to your property. The Tree Cutting Company – a Small Business That Cares! 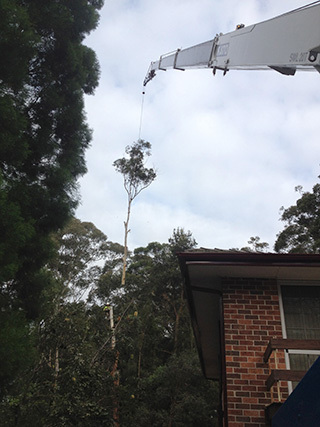 Here at The Tree Cutting Company we can remove trees for you in a variety of ways as our qualified and experienced Arborists manually climb and dismantle your trees. We’re approved members of the tree industry body – Arboriculture Australia – so you can feel confident in our friendly, professional, safe and caring service! We always make sure we clean up your property to your satisfaction after we complete your work. Relax while we make your dwelling shine! As a company that’s committed to sustainable environmental practices we’ll also offer you free replacement tube stock trees with every tree removal. So, to keep your property full of life and looking incredible call us today for your FREE no obligation quote – our prices are highly competitive!